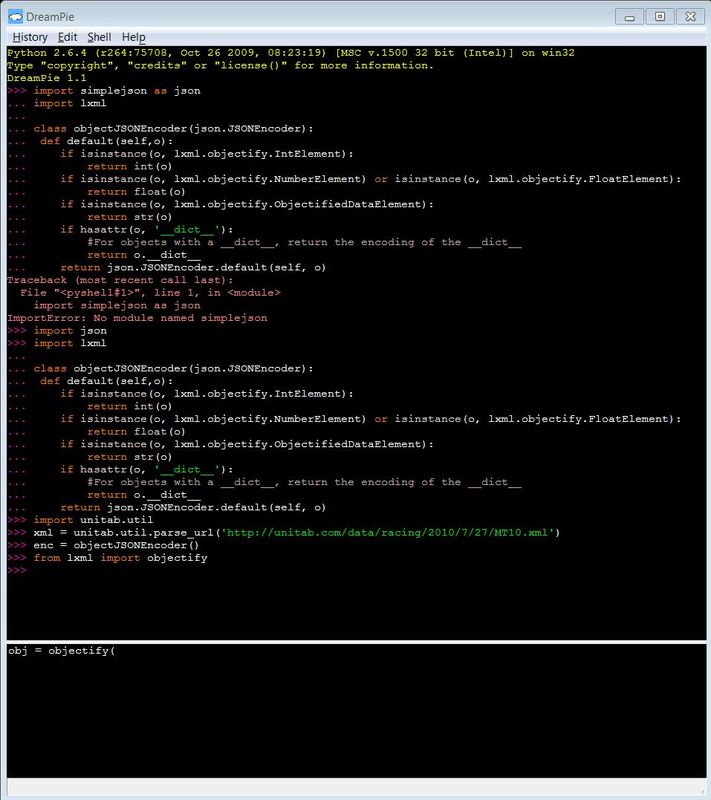 I've attached a screenshot of my DreamPie session, as it's very short and fits entirely in the image. Lastly, thanks for your work on DreamPie, it rocks! What is the lxml module? Can you attach it? By the way, about Python 2.7: You need to create a new DreamPie shortcut to use Python 2.7. If you have DreamPie 1.1, there should be a "add interpreter" command to do it for you.